Located just minutes from the International Airport, Novotel Citygate Hong Kong offers affordable accommodation that is also within walking distance of the MTR station. Putting you within minutes of downtown Hong Kong and a number of other popular shopping, dining and attractions, the hotel is also close to popular tourist destinations such as Hong Kong Disneyland, Citygate Outlet, AsiaWorld-Expo and Ngong Ping Cable Car. Offering a great range of onsite facilities, the hotel is one of the most convenient accommodation options to the airport and other major attractions. 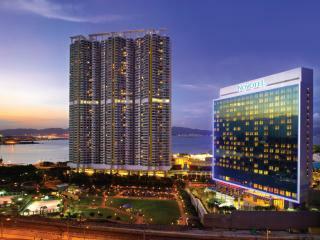 Accommodation at Novotel Citygate Hong Kong offers a choice of 440 rooms complete with views of the mountains or sea. Executive Premier Rooms and Suites also enjoys Premier Lounge access with free breakfast in Essence, free wireless Internet connection, Nespresso coffee machine and iPad/iPhone/iPod docking station. Novotel Citygate Hong Kong is also home to a convenient range of onsite facilities such as 24 hour reception, a complimentary shuttle to the airport, a business centre, concierge and laundry and dry cleaning services. Guests can also access BBQ facilities, a number of bars and restaurants, 24 hour room service, a fitness room, outdoor swimming pool, kids pool, tour desk and more. The hotel is also close to Skypier and the Tung Chung New Development Ferry Pier on Lantau Island. 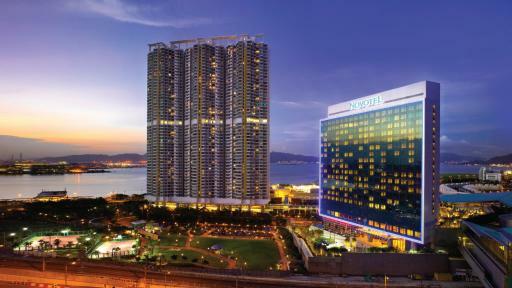 Accommodation at Novotel Citygate Hong Kong offers a choice of 440 rooms and suites complete with views of the mountains or sea. Some rooms also enjoy Executive Premier privileges including free breakfast in Essence, free wireless Internet connection, Nespresso coffee machine and iPad/iPhone/iPod docking station. Standard Room: Rooms enjoy views of the mountains or sea. Room size is 28m². Bedding is 1 King Bed OR 2 Single Beds. Superior Room: Rooms enjoy views of the mountains or sea. Room size is 28m². Bedding is 1 King Bed OR 2 Single Beds. Executive Premier Room: Enjoy views of the mountains or sea. Also features access to the Executive Premier Lounge which includes privileges such as free breakfast in Essence, free wireless Internet connection, Nespresso coffee machine and iPad/iPhone/iPod docking station. Room size is 52m². Bedding is 1 Queen Bed. Executive Premier Suite: Enjoy views of the mountains or sea. Also features access to the Executive Premier Lounge which includes privileges such as free breakfast in Essence, free wireless Internet connection, Nespresso coffee machine and iPad/iPhone/iPod docking station. Room size is 52m². Bedding is 1 Queen Bed. Essence: Open daily for breakfast, lunch and dinner, this buffet restaurant serves a range of Asian fusion cuisine with an open kitchen and a number of cooking stations. Olea: Open daily for lunch and dinner, this unique Mediterranean restaurant serves a variety of regional tapas, pizzas and specialties. Andante: Open daily from mid-morning til late, this relaxing bar offers a variety of snacks, cold drinks, cocktails and an extensive wine list accompanied by live music. Moccato: Open daily and offers freshly-brewed Arabica coffee, oven-baked pastries, light snacks, a variety of cold drinks and delicious desserts.